This wig is simply stunning!! Long sleek razored layers, finely feathered tips and a lightweight soft fringe all combine to give you the ultimate in hair luxury! The construction of this piece is second to none! An expertly tailored average size adjustable cap offers the most comfortable wear imaginable, providing day and night long wear. 130h Copper Red Mix This piece is offered in color 130h, a super delicious multifaceted copper red! 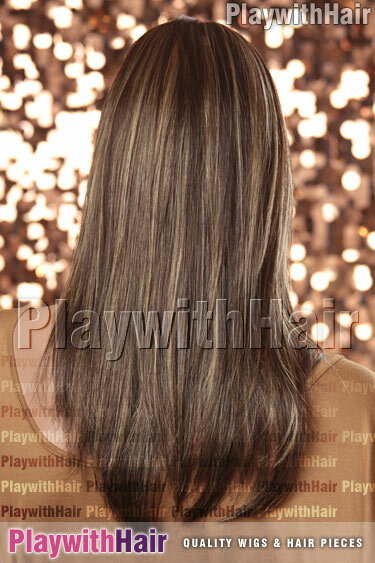 626h Brown Gold Blonde Mix This piece is a glamorous dark brown with golden blonde highlights.